Umbagog Cigars - Buy Premium Cigars Online From 2 Guys Cigars . Umbagog comes to us from Steve Saka's Dunbarton Tobacco & Trust. The cigar gets its name from one of the most pristine wilderness lakes in all of the United States. It is on this lake that Steve Saka takes part in something he loves almost as much as cigars, fishing. 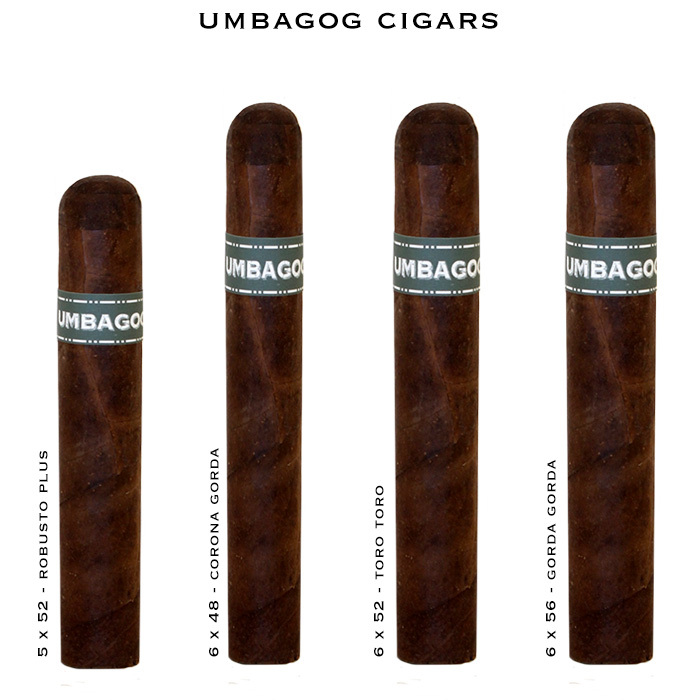 Umbagog is a unique, full bodied Nicaraguan blend that makes use of the Broadleaf capa deemed too ugly to be used on the Mi Querida line. The quality is solid and the flavor is amazing. The cigar is robust and durable, designed to endure the rigors of outside activity with its thick broadleaf wrapper and easy burning blend. This is a cigar that doesn't pretend to be special or seek to elicit the "oohs and aahs" of the cigar snobs. It is an honest hard-working cigar that is meant to be smoked, chewed upon and lit however many times you wish. For Steve Saka it is the perfect cigar for mowing the yard, hiking, four wheelin' and of course, fishing! The production is very limited. So grab some while they last.